Judi Cohen is Managing Director of Care With Quality. Inspired by the needs of her two grandmothers who lived to their late 90s and the experiences gained as an Occupational Therapist, Judi took the opportunity to purchase Care With Quality in 2005. Judi started her journey towards Care With Quality as far back as her uni student days. While studying Occupational Therapy, Judi ran an activity group for teenagers with epilepsy, giving them the opportunity to participate in leisure pursuits with other teenagers on the weekends whilst providing respite for their families. Her OT career led her to work with adolescents becoming adults with cystic fibrosis, cardiac rehabilitation, lifestyle management in residential care, and as senior clinician in Aged Care for Western Health. When the opportunity to purchase Care With Quality came in 2005, a company with an excellent reputation, providing the type of care in the community that Judi saw as so valuable, she jumped at the opportunity. At that stage Judi’s two grandmothers were in their 90s and had been through every kind of care imaginable- so personal experience complimented Judi’s knowledge and skills as well. Today Judi is Chairperson of the Peak Body for Aged Care- LASA (Leading Aged Services Australia)’s Community Care Taskforce and represents Victoria on the National Home Care Advisory Group. Judi attends and presents at conferences and seminars regularly. Judi is also a 2014 nominee for the Telstra Business Woman’s Awards. Through all this, Judi has a very hands on approach and is confident to work in all aspects of Care With Quality whenever required. Don’t be surprised if it is Judi who picks up the phone when you call!! In her leisure time Judi’s passion for family, community and volunteering have led to her active participation in numerous not for profit boards and committees. 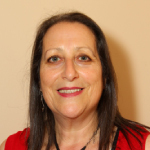 Freda brings to her various roles at Care With Quality 30 years experience in Community Care, Aged and Disability services, having worked across many levels of Government, the not for profit and private sectors. Initially employed to manage Care With Quality’s Service Agreements and Special Projects, Freda’s role has now expanded to include Human Resources and in particular the employment of our Careworker team, as well as development of Compliance Systems. Having worked in both large complex organisations and various management committees Freda has experience in administration, managing bureaucratic processes and infrastructure, community development, policy and training. She uses her excellent understanding of government regulations and compliance requirements coupled with her passion of ensuring that staff have the qualifications and experience to deliver services in an appropriate and compassionate way. In addition, having worked across a range of sectors for many years Freda has a key role with our team who assist people to navigate their way through the very complex aged care system. Nancy holds a Bachelors Degree in Accounting. She is the head of our finance department and manages the account ins and outs of Care With Quality. Her areas of responsibility include payroll, accounts receivable, accounts payable and financial reporting. 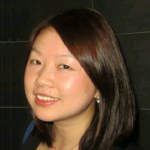 Nancy also performs many administrative duties within the office and across the whole organisation. 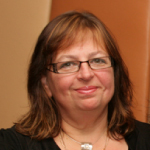 Renee has worked in the Community Care Industry as a Care Co-Coordinator for almost 15 years. After nursing her own mother as a young adult, she had a huge amount of compassion for anyone struggling with illness, age or disability that had an overwhelming want, to be able to remain in their own home. Renee also had great empathy for family members caring for their loved ones. After the passing of her mother, Renee knew that this was the employment path she wanted to take, to be able to assist in providing a professional and caring service to the community. She spent four years working as a full time Care – Coordinator in 2000, before taking a break to pursue another very rewarding position- that of raising a family, keeping her foot in the door working as an After Hours Care-Coordinator over this period. 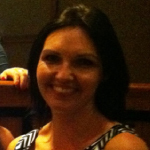 Renee started her position as a Care-Coordinator and Payroll Officer at Care With Quality in 2011. Renee says her role is extremely satisfying and feels there is nothing more rewarding than spending a couple of minutes speaking with a client that may well put a smile on his/her face for the rest of the day. Having one on one interaction with Direct Care Workers, Clients, their families and Case Managers and being able to set up a friendly and caring in home service, brings great pleasure to her role as a Care – Coordinator. It was Andrew’s passion about the well being and happiness of people coupled with his desire to work within the community, considering every person he comes into contact with as unique and interesting, that brought him to the community care environment and his position as Care Co-ordinator at Care With Quality’s north-west office. Andrew brings to this role extensive experience in working with and leading groups of people from various ethnicities, in both the manufacturing and information technology industries. Andrew takes pride in his problem solving skills and his ability to communicate with people of all ages and walks of life. Outside of work Andrew enjoys photographing people he meets and documenting their stories.